Cozumel is one of the busiest cruise ports in the world, but it’s also one of the most vibrant, varied and exciting. I’ve visited Cozumel island three times and I never tire of it. It’s just “one of those places” – and here, I’m going to share some ideas on what you can see and do during your visit. This is Cozumel’s only city and it is the very heart of the island. There are restaurants serving various cuisines, bars in all shapes and sizes, and souvenir shops selling everything from painted shells to tequila. It’s a great place to wander and take in the atmosphere of the “zocalo” (town square) and surrounding streets. You will also find a small market across the street from the main downtown terminal as well as outlets for booking tours. Beach. I can personally recommend Nachi Cocom as an option, but – again – this does have to be booked online prior to your arrival on the island. This is a full-day option and perfect for all the family. 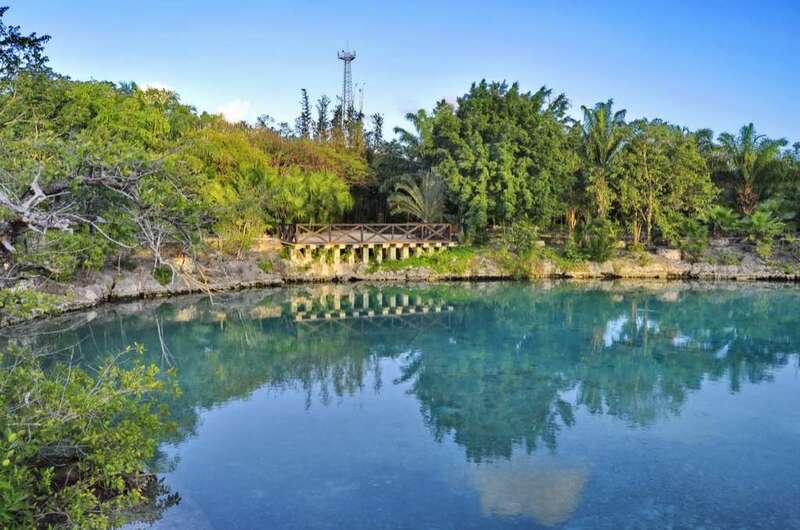 This nature reserve offers a beachfront with bar and grill, an archaeological park, a botanical garden, snorkelling and swimming opportunities and a Dolphin Discovery programme. Chankanaab (which means “little sea”) is located inside the island’s Marine National Park, an area of outstanding natural beauty, and is a great option for new and old visitors to the island. A visit to Tulum is a day-long experience and requires a ferry ride from the island of Cozumel across to the mainland and then a journey of two or more hours by road. 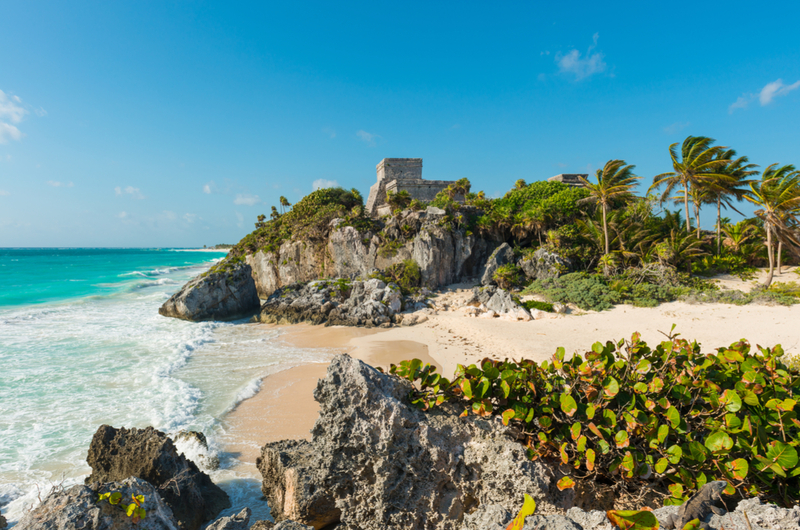 Tulum is the second most visited of all the Mayan ruins in Mexico and is estimated to be around 800 years old. 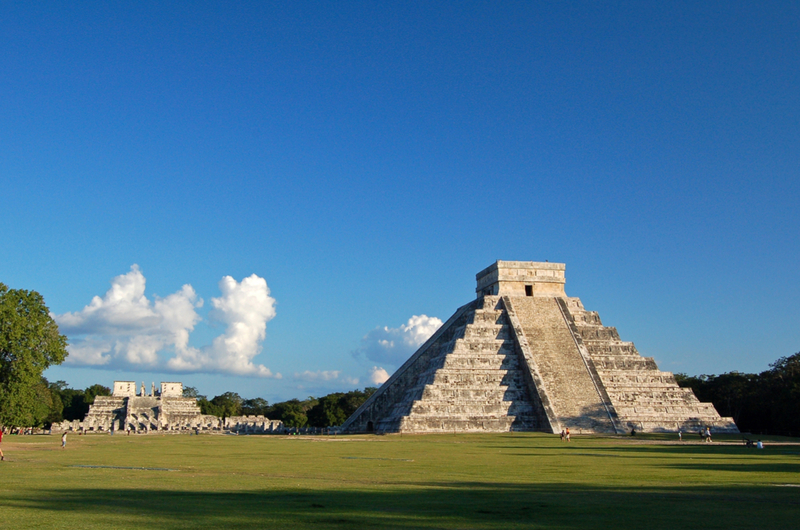 If you’re interested in Mayan history, another site worth visiting is Chichen Itza. Slightly smaller than Tulum, Chichen Itza is a designated UNESCO World Heritage Site – and the main pyramid was declared as one of the seven wonders of the world in 2006. If you’ve been there, seen that and just want to have a day of fun in the sun with like-minded people, then try the Cozumel Bar Hop. I’ve joined this group twice and I love it. You visit the east side of the island, which is far from the tourist trail, and you get to experience four unique bars. At each bar, you are offered one complimentary shot and you get around 45-55 minutes to relax and enjoy the atmosphere, order more drinks or grab a bite to eat. It’s a great option for groups or couples and you get dropped back at your hotel or cruise ship at the end. It’s important to remember, however, that the east side of the island is a turtle nesting area that is strictly controlled. All bars must close and people must be off the beach by a certain time of day. There’s no evening activity here; everything happens during the day. Whatever you decide to do in Cozumel, I know you’ll have a great time. It’s one of my favourite ports in the Caribbean and I’m looking forward to my third visit in January 2018.